Stephen is a licensed RCFE Administrator with over 10 years of experience working in the senior healthcare industry. Stephen has a unique perspective of the industry; he grew up watching his parents, Chris and Darnelle, manage the Waters Edge Nursing Home, The Lodge, and Elders Inn, and when he was four years old, Stephen moved into the Lodge with his family and lived there for nine months while his parents worked full time to get operations up and running. Because of this, Stephen may be the youngest person to have lived in a Residential Care Facility for the Elderly, and the experience led him to develop an affinity for seniors and healthcare workers who dedicate their life to caring for others. Stephen is passionate about aging and the senior healthcare industry, specifically developing models of care that promote independence and sustainability. 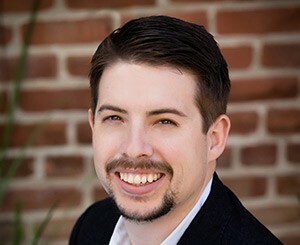 Immediately after graduating from UC Davis, Stephen began working at AEC Living. To get a better understanding of the organization and the industry, Stephen worked in various roles in the wellness programs, activities programs, and admissions. Stephen then obtained his RCFE Administrator license, and began managing the Lodge while publishing the Alameda Senior Magazine with his sister. Wanting to gain more knowledge of the psycho-social aspects of aging, Stephen obtained his Masters in Gerontology from the University of Southern California where he graduated with a 4.0 grade point average. The knowledge gained from his time at USC has led him to research and pursue innovative solutions to issues surrounding seniors and aging communities in his role as COO at AEC Living.